“The E! People’s Choice Awards” will honor Bryan Stevenson, civil rights icon and founder of Equal Justice Initiative (EJI), with the first-ever People’s Champion Award during the live awards show on Sunday, November 11th at 9p ET/PT. Stevenson is being recognized for his profound and lasting impact in the fight for equality, acceptance and justice for all Americans. 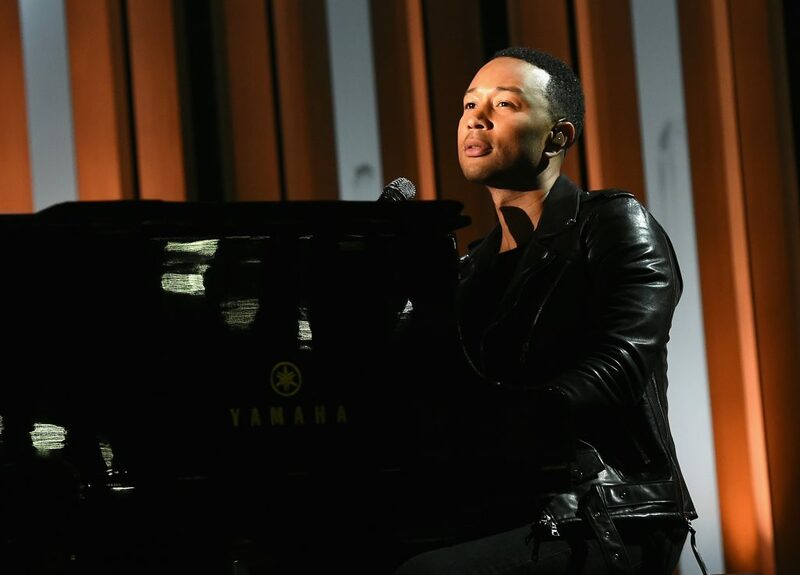 Critically acclaimed, multi-award winning singer-songwriter and philanthropist John Legend will present the award and also perform during a tribute to Mr. Stevenson. The People’s Champion Award was created in partnership with Erase The Hate, NBCUniversal Cable Entertainment’s social impact campaign which supports and celebrates people across country taking action against hate, discrimination and bias. Stevenson has launched an ambitious national effort to create new cultural spaces that reflect America’s history of racial injustice. Earlier this year EJI opened a ground-breaking museum built on the site of a former slave warehouse in downtown Montgomery, Alabama. The Legacy Museum: From Enslavement to Mass Incarceration is a companion to a national memorial to victims of lynching called the National Memorial for Peace and Justice, hailed by the Washington Post as “one of the most powerful and effective new memorials in a generation.” Stevenson’s lifelong work through EJI has been to end mass incarceration and excessive punishment in the United States, challenge racial and economic injustice and protect basic human rights for the most vulnerable people in American society. Stevenson’s best-selling memoir Just Mercy: A Story of Justice and Redemption is being adapted into a feature-length film scheduled for release in 2020. Starring Michael B. Jordan as Stevenson, the film chronicles EJI’s early days and most notable civil rights battles. Stevenson has received numerous awards and honors for his leadership, including the MacArthur Foundation “Genius Grant” in 1995 and the American Civil Liberties Union’s National Medal of Liberty. Fortune included him on its 2016 and 2017 lists of World’s Greatest Leaders. EJI provides legal representation to indigent defendants and prisoners who have been denied fair and just treatment in the legal system. Under Stevenson’s leadership, EJI has won major legal challenges eliminating excessive and unfair sentencing, exonerating innocent death row prisoners, confronting abuse of the incarcerated and the mentally ill and aiding children prosecuted as adults. Stevenson has successfully argued several cases in the United States Supreme Court, including an historic ruling that mandatory life-without-parole sentences for all children 17 and younger are unconstitutional. Stevenson and his staff have won reversals, relief, or release for over 125 wrongly condemned prisoners on death row. Inspired by people, like Stevenson, who are creating change, and to coincide with the People’s Choice Awards, the Erase The Hate campaign is launching the #EraseTheHatePledge to show the world there’s a community of people who are willing, committed, and ready to make a difference — a loud chorus of people pledged to do their part to counter hate. People can learn more about the pledge and find ways to get involved at erasethehate.org and on Erase The Hate’s Facebook, Twitter and Instagram. E! is the only global, multi-platform brand for all things pop culture. The network is currently available to 91 million cable and satellite subscribers in the U.S. and 161 countries globally. “E! News” airs nightly on the network and is the leading multi-platform publisher delivering breaking entertainment news and pop culture coverage 24/7 across EOnline.com and all digital and social media. E! programming includes popular series “Keeping Up with the Kardashians,” “Total Divas,” “Total Bellas,” “Botched,” “Hollywood Medium with Tyler Henry,” “Very Cavallari” and its newest late night topical series “Busy Tonight.” The brand’s robust digital programming slate includes “E! News’ The Rundown” “Face Forward” and “What The Fashion” on Snapchat. E!’s “Live from the Red Carpet” signature events keep fans connected to their favorite stars on pop culture’s biggest nights and on November 11 E! becomes the home of the “People’s Choice Awards.” E! is a network of NBCUniversal Cable Entertainment, a division of NBCUniversal, one of the world’s leading media and entertainment companies in the development, production, and marketing of entertainment, news and information to a global audience. For more corporate information, visit www.nbcuniversal.com. Originally launched in 1994 at the USA Network, the Emmy Award-winning social impact campaign was founded by Bonnie Hammer to combat hate and discrimination in America. Relaunched in October 2017 and now extending across all of Hammer’s NBCU Cable Entertainment portfolio (USA Network, SYFY, Bravo, Oxygen, E! Entertainment, Universal Kids, Universal Cable Productions, Wilshire Studios and Bluprint), the new Erase The Hate has been reinvented to address the critical issue of hate spreading online and in our communities at an unprecedented pace. It supports and amplifies the voices of those speaking out and taking action across the country, and provides pathways for even more people to take positive action. Erase The Hate is proud to partner with the nonpartisan, nonprofit organization Civic Nation to help carry out its mission through the support of Democracy Fund. Erase The Hate welcomes everyone to join the movement by visiting www.EraseTheHate.org. The website is a hub for all facets of the campaign where visitors can access digital tools and resources to help them learn how to get involved and fight hate in their own communities. Call-to-action videos from NBCU Cable Entertainment talent are also available for viewing. Wilshire Studios develops and produces a diverse slate of original unscripted programming for multiple platforms, aligning with award-winning producers and innovative storytellers to create compelling content that explores reality through a variety of formats. From E!’s signature “Live from the Red Carpet,” USA Network’s “The Cromarties” and Oxygen’s “Mysteries and Scandals,” “The Curious Creations of Christine McConnell” for Netflix, “Real Country” for USA, “Unspeakable Crime: The Killing of Jessica Chambers” for Oxygen and the debut of “The E! People’s Choice Awards,” Wilshire Studios produces series that are informative, revealing, thrilling and entertaining. Wilshire Studios is part of the NBCUniversal Cable Entertainment portfolio.